1. Communication – Identify the WIIFM (what’s in it for me) and create the awareness for the need to change. Explore various means of communication that can be used for a constant sharing of information, status and progress. Keep it fresh. 2. Orientation and Training – Introduce the change of direction in the orientation of new employees – perhaps show a bridge of the old way on one side and the new way on the opposite side. Let new hires know a transition is in place and why it is important they are a part of the future. Conduct on-going training for everyone to reinforce the change, reasons for change and how to make the change successful. 3. Recruitment – Since change is a constant and will always be for most organizations today, interview and select people who are resilient, flexible and adaptable. Behavioral interviewing will be most helpful in identifying these individuals. 4. Recognition – Recognize employees who take the first dip in the water of the change. They will become the leaders for the rest of the organization. By publicly rewarding these employees, it may motivate those who are sitting on the fence to get off and face the change. 5. Management Accountability – Implement day-to-day mechanisms that will ensure the change takes place. Coaching, counseling, performance appraisals, and promotions will send the message stronger than anything else that the change is important to the employee’s success in the organization. 6. Measurement – Identify ways to measure the success of the change and display the information for all employees to see. Sharing the information strengthens the buy-in and ownership to the change. 7. Corrective Action System – Anticipating there may be obstacles that pop up in transitioning to the change, set up a methodology that all areas can use to identify the problem, communicate the problem to the appropriate person/department, and develop a solution to those problems. 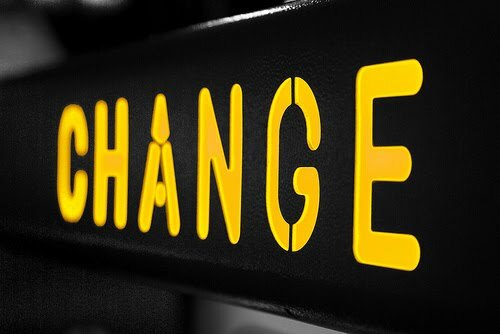 Change is not always easy, but by having a systematic approach to executing Change, it gives a structure and process to ensuring the change stays in place – till the next change comes along.